Garver's Facilities Design Team has expanded its client base with the hiring of two additional architects. John Ramsey, RA, LEED AP BD+C, and Richard Anderson, RA, LEED AP, bring a combined 51 years of broad-based project management and production experience in public and private sector projects of all sizes and complexities to the Garver Team. Garver's Facilities Design Team has historically focused on federal projects, but has now expanded to provide building design expertise for clients in the federal, public and private sectors. "Our niche at Garver is to bring all aspects of building design to the table," said Facilities Design Director John Watkins. "Our team is as multi-disciplined as they come. We provide civil, structural, mechanical, electrical, plumbing, fire protection and architectural design for a wide variety of project types and clients." 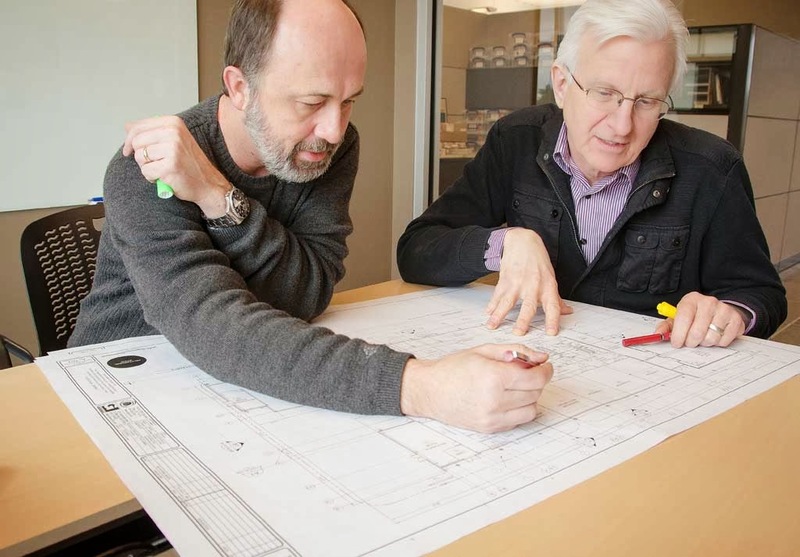 "Adding John and Richard to our team brings together a collection of diverse project experiences that coincide with work we’re already doing at Garver,” said Director of Architecture Greg Archer. “They've already proven themselves to be valuable assets to this growing team." Learn more about Garver's Facilities Design Team by clicking here.